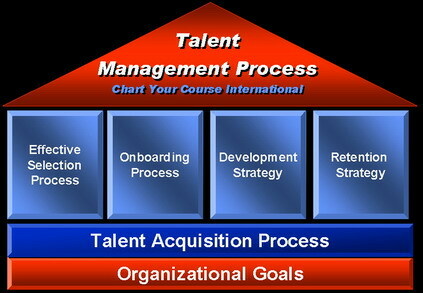 Talent managers are fast becoming the backbone of HR in any organization. This is true because talent management strategy is an essential tool is delivering high performance on a consistent basis. However, there are some essential questions that need to be answered before one delves further into the business of talent management. What is talent? What is the perfect talent management model and how to be a talent manager? 1 There are reasons why employers are focusing on perfect talent acquisition and management. In today’s global economy rising cost is one of the principle factors that is leading to huge losses for organizations. In such a scenario one needs to follow certain rules that will ensure that the cream of your personnel sticks with you. To begin with, make sure that your HR is hiring people who are genuinely interested in the portfolio being offered. Only those talent management models succeed that involve employees who are an actual asset to the company and not just another addition to the workforce. You need to hire people who are not just going to fill a position but who are willing to invest in the company for a sustained period of time. This means that you will have to take care of their needs and help them build a career and not just offer a job. Making your retention policy more personal is another way to ensure that dissatisfaction among employees is kept at bay. Global talent management experts are of the opinion that a personal approach is safe and ensures more results. Most people quit not because they are ill-at-ease with their work but because they have been mistreated by their line managers. You need to ensure that your managers are people who are adept at handling their groups. A feeling of animosity and personal hatred will go on to hurt your talent retention and lead to attrition. The final suggestion that will make your talent management model a sustainable is the fact that you need to invest in your employees. Don’t get deterred just because there has been one case of under-performance. You need to investigate the reasons behind this in case the employee in question has an otherwise excellent track record. Want to make sure that your talent management is safe and effective?